Join local businesses and organizations across the OH/KY/IN region to celebrate passion for STEAM, science, technology, engineering, art, math, problem solving, service learning and community service. Booth spaces will be at least 10x10 with a table. We ask that all booths maintain a presence at their booth from 10:00am-3:00pm. Cost of booth participation and sponsorship levels range from FREE to Platinum sponsorship. The deadline for registering a booth is Friday, April 12th! 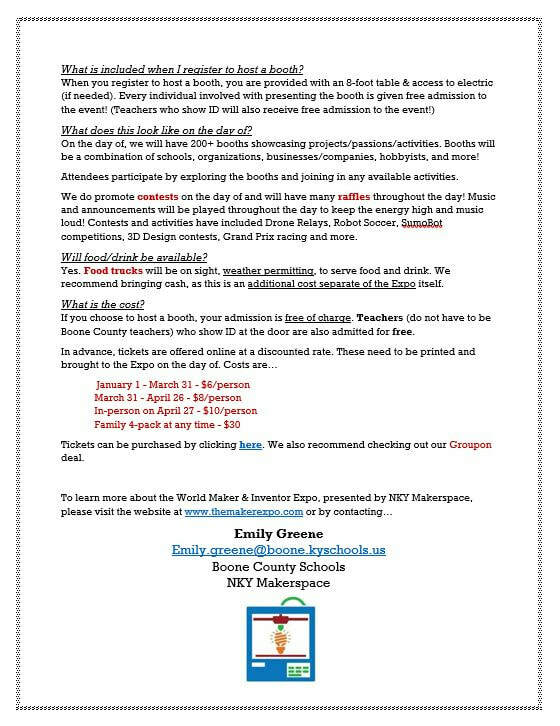 Please register your organization, school, or project on or before this date to ensure you will be able to join us for this incredible day of all things maker! Businesses, vendors, and organizations - We kindly request you consider making a donation to NKY Makerspace. These donations are used throughout each year to maintain existing programs, equipment, & technologies, and to expand our current offerings. These include high school internship opportunities, after-school & weekend workshops, and even clubs. Topics range from coding and programming to aviation, 3D design, and robotics! To learn more about making a donation, please contact Emily Greene at emily.greene@boone.kyschools.us. 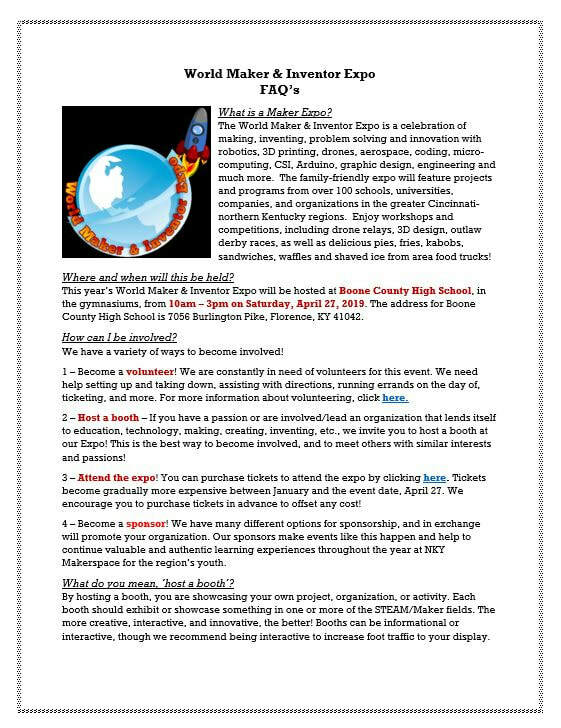 We are excited to announce our partnership with the Boone County Education Foundation for the 2018 World Maker & Inventor Expo! Both NKY Makerspace & the Education Foundation believe in promoting our region's educational programs and exposure to all things innovative! Single booth space. 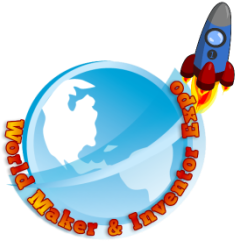 Simply register your free booth on this web page and celebrate STEAM with students, parents and educators free of charge. For questions about donations & sponsorships, please call Boone County Schools Deputy Superintendent Jim Detwiler at (859) 282-3327.